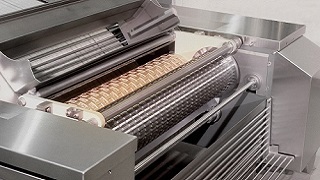 Specialist dies and rolls set the product size, shape, weight and thickness, as well as imparting the manufacturer’s unique design or branding. 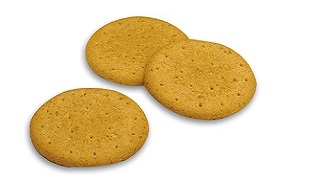 390 & TruClean™ Rotary Moulders - produces a full range of soft-dough moulded biscuits and sandwich cookies. Series2 Rotary Moulder - produces soft-dough moulded biscuits and sandwich cookies at high outputs in environments where close control of size, weight and texture are essential. Baker Perkins is a world leader in the supply of complete plants for the production of soft dough cookies and biscuits. We offer a series of best-in-class unit machines in each key technology; more than a century of experience provides us with an unrivalled ability to combine them into profitable, efficient, flexible systems. Rotary moulding is an industry-standard method of making soft dough biscuits, and Baker Perkins has been at the forefront of this technology since its introduction. The Series2 Rotary Moulder provides the key benefit of total control flexibility, with a ‘plug-in’ capability and a range of options to meet customers’ specific needs, including a high speed unit. Another option is the TruClean™ Rotary Moulder, which is a hygienic rotary moulder that is easy to operate and maintain. Baking is a vital process, and the Baker Perkins TruBake™ Convection Oven makes major savings for biscuit makers in bake time, capital cost and energy. It also provides significant quality, consistency and reliability benefits by creating a dependable and stable airflow within the chamber. View some of the many soft dough biscuits that can be made on Baker Perkins' process lines.